Our gothic design Abbey gates and railings can give your home the security and style you require with their solid steel and wrought iron appearance. Controlling the traffic going from your home to the street is vital if you have pets or small children and this range can give you the peace of mind to know that they are safe. 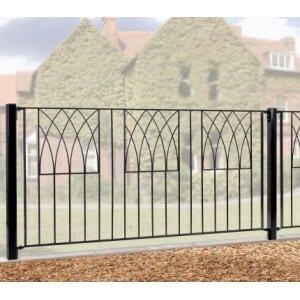 These affordably priced gates can be primed or galvanised with a powder coated finish depending on your needs. Delivery for these products is free to most of the UK and they can be with you in as little as ten working days. For larger gate requirements, you can add gateposts to your order. The Abbey Bow Top Gates are constructed using solid steel for a traditional wrought iron gate appear.. 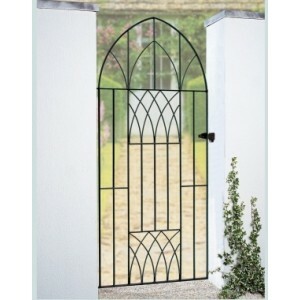 The Abbey Low Bow Gates are constructed using solid steel for a traditional wrought iron gate appear.. 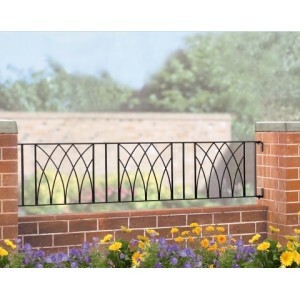 The Abbey Railings are constructed using solid steel for a traditional wrought iron railing appearan.. 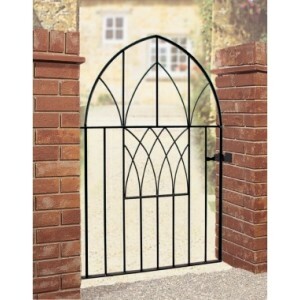 The Abbey Single Gates are constructed using solid steel for a traditional wrought iron gate appeara..